Asking questions can lead to better listening, communication, and relationship-building skills. That’s according to the Right Question Institute’s Sarah Westbrook. To begin with, asking questions can make people like you. 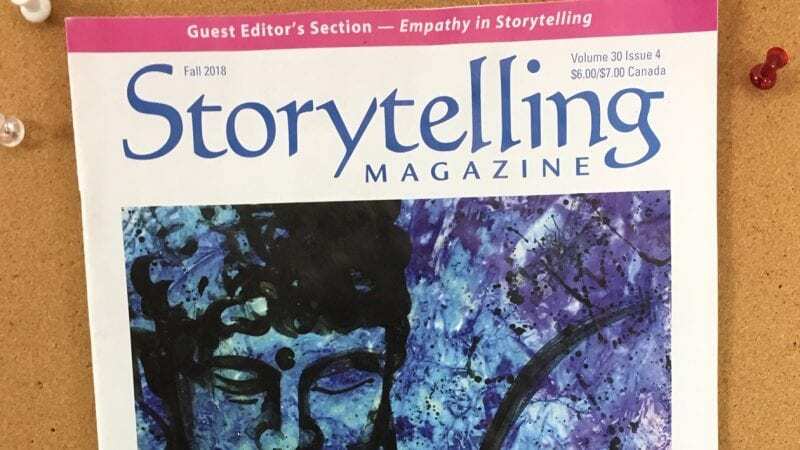 Westbrook contributed to Storytelling Magazine’s guest-editor section: “Empathy Through Storytelling and Listening,” compiled by Sara Armstrong. Other contributors explored storytelling and community building, and the connection between binge-watching TV, impatience, and listening skills. Read Westbrook’s article in Storytelling Magazine. Being a good listener and asking questions are skills “that can be deliberately taught and learned,” Westbrook said. She highlighted insights from two schools, in New York and Michigan, where students used the Question Formulation Technique (QFT) to build empathy and explore different perspectives. For students, “asking questions activated a new openness, mental flexibility, and receptivity to other ways of thinking, reading, understanding, and learning,” Westbrook wrote. Through asking questions “we can all be better friends and colleagues, more active readers and learners, and more effective, empathetic communicators,” she wrote. Westbrook is a former English teacher who worked in public high schools in the Boston area. She is an advocate for student-centered learning and developing students’ ability to generate and use their own questions. Westbrook has presented to the National Council for the Social Studies, the National Science Teachers Association, Chicago Public Schools, and multiple state departments of education, and she has designed and led online courses about the QFT in partnership with Harvard Graduate School of Education. She holds a master’s degree in teaching from Tufts University. Teaching Students to Ask Their Own Questions: Best Practices in the Question Formulation Technique, a Harvard Graduate School of Education online course, begins April 15. Registration is open.